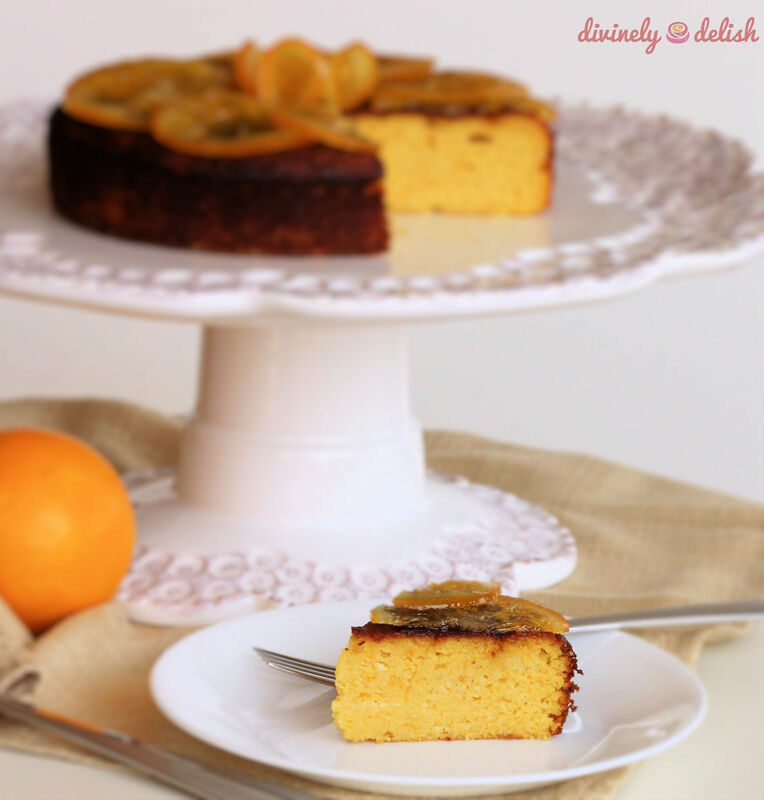 Orange and almond cake is a traditional Sephardic Jewish Passover dessert, with origins in the Iberian peninsula. Variations of this cake can be found from Spain, throughout the Mediterranean, and further east, to Iran. This cake first caught my eye because it was flourless. Not that I’m gluten-free, but I always like experimenting with cake recipes that don’t require the usual wheat flour. Probably because I’m often a little skeptical (“How good can it REALLY be…??”). It’s like when I just had to make the flourless Quinoa Chocolate Cake and see for myself. Tasting is believing. Of course, the use of oranges (not just the juice or zest, but the WHOLE fruit) also really appealed to me. 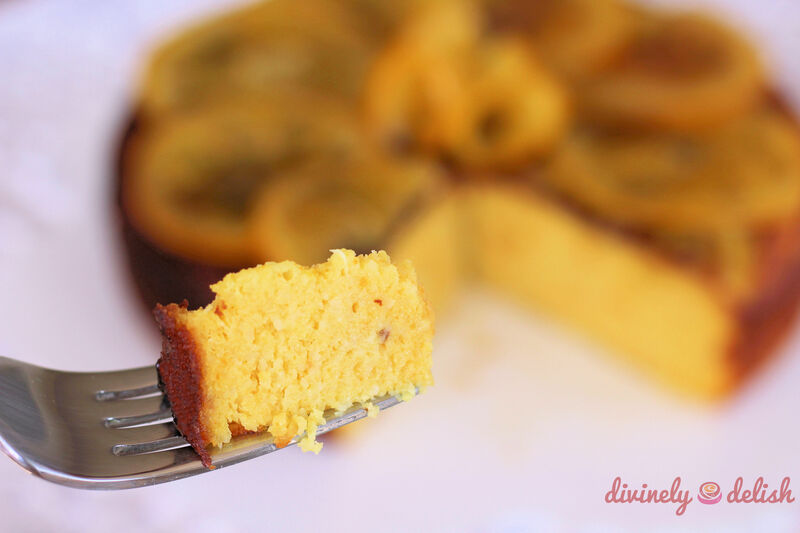 I just love citrus in baking. 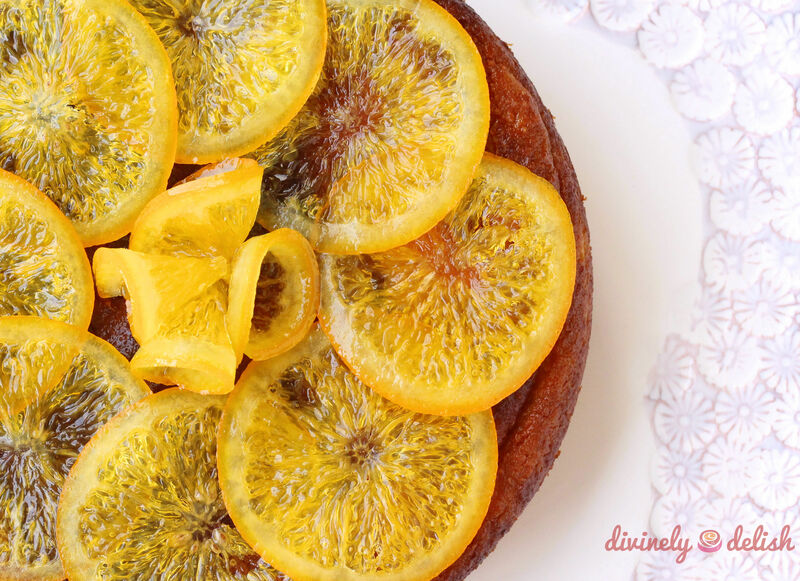 Whether you’re using yuzu juice in a tart, filling profiteroles with lemon cream, or drenching a cake in orange infused syrup, nothing beats the vibrant, refreshing flavours of citrus. What’s more, I think oranges and almonds go hand in hand. Mmm…such a delicious marriage of flavours! The original recipe, first featured in Claudia Roden’s A Book of Middle Eastern Food, has inspired many bakers. This cake lived up to all the glowing reviews. I was impressed. It was super moist, and remains so – and actually tastes better – a day or two later. I was pleasantly surprised that, despite the amount of sugar, the sweetness level was perfect. I personally find some Mediterranean and Middle Eastern desserts way too sweet for my liking, but that was not the case here. 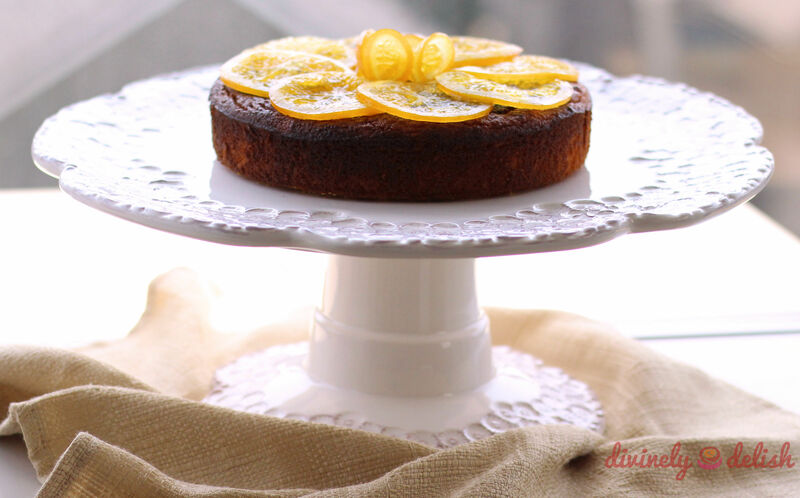 The only thing I did differently was the addition of one of my favourite spices, cardamom, which imparts a subtle spicy and minty flavour and really enhances the taste of the cake. It freezes well too – just store it in an air-tight container. When you want it eat it, thaw it overnight in the fridge and you’re good to go. I think it actually tastes best slightly chilled. Alternatively, let it sit out on the kitchen counter for a couple of hours to bring it to room temperature. 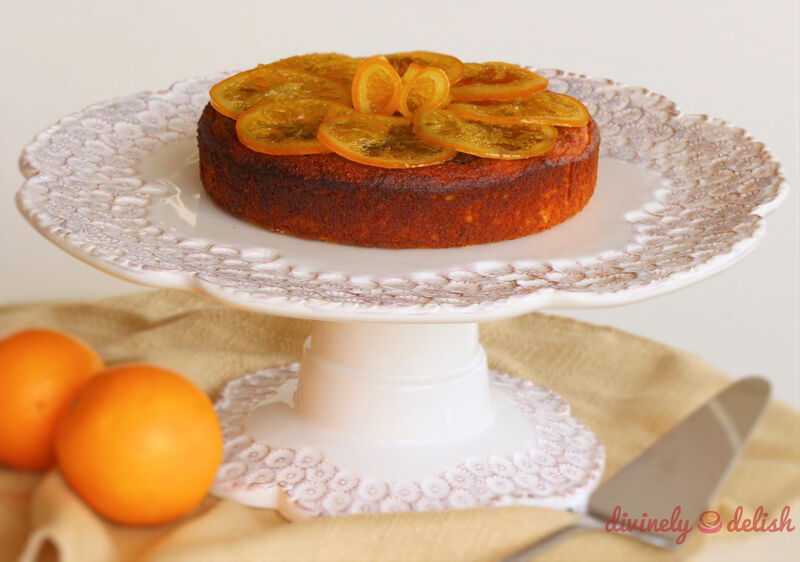 To dress up the cake, you can place candied oranges on top. It’s totally optional, of course, since the cake is already so moist and flavourful on its own. But I love the extra oomph that the sweet and syrupy slices and slight bitterness of the peel add to each bite. 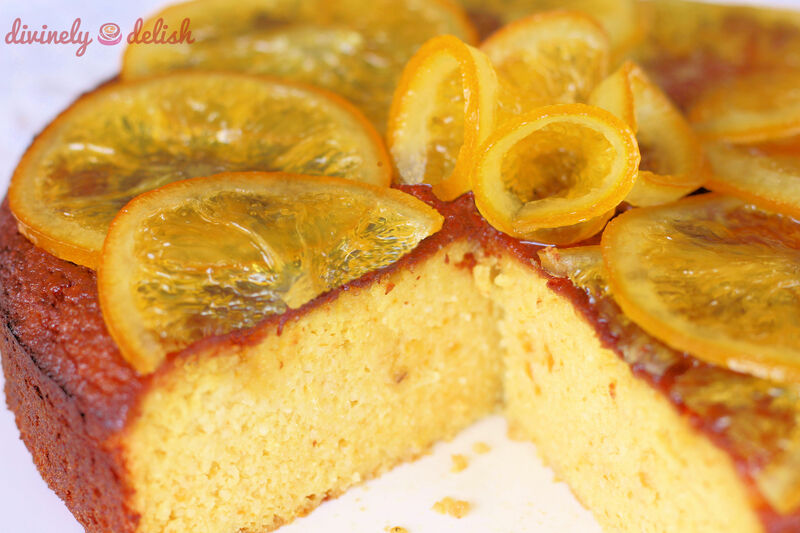 In fact, I used two oranges so that I would have lots of candied slices to accompany the cake! 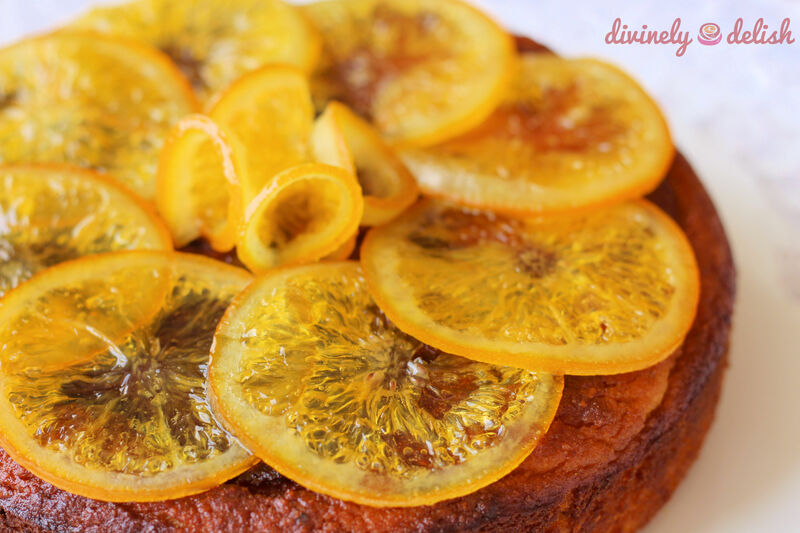 The orange flavoured syrup you end up with is a bonus, if you want to drizzle it over a piece of cake (not that it needs it, but trust me, it’s good!). Any leftover syrup can be stored in a glass jar in the fridge for up to two weeks. You can use simple syrup for making cocktails, sweetening cold drinks, or brushing on cakes to help retain moisture. I actually just used some in place of honey when I made Butterfly Pea Flower Iced Tea yesterday. 1. Wash the oranges, place them, unpeeled, in a pot and cover with water. Bring to a boil and simmer for 1.5 hours. Remove oranges and allow to cool. 2. 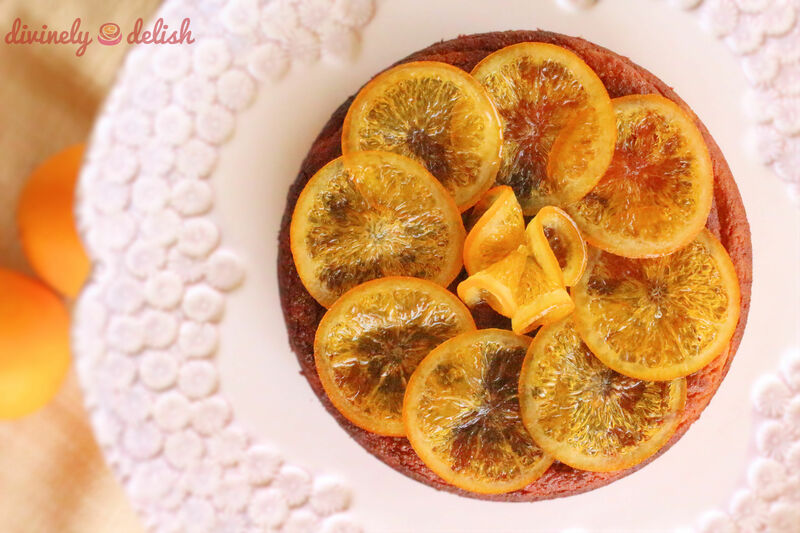 When oranges are cooled, preheat oven to 400F. Butter and flour an 8″ springform pan. 3. Cut oranges and remove any seeds. 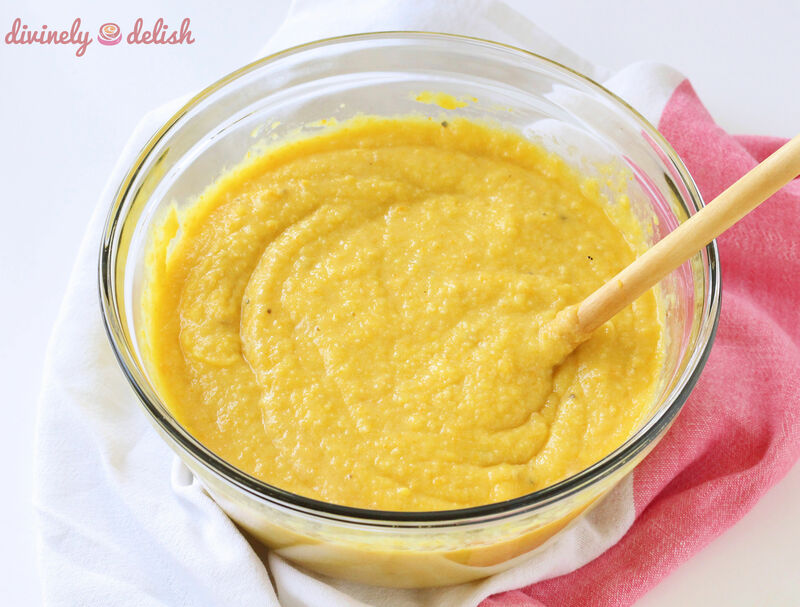 Puree the oranges in a food processor, including the peel. 4. In a large bowl, beat the eggs. 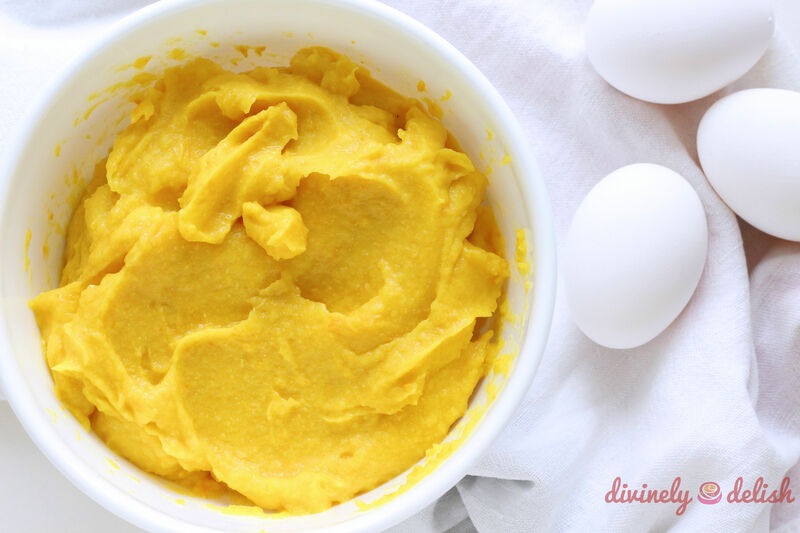 Add remaining ingredients, including pureed orange. Mix thoroughly. Pour batter into prepared cake pan. 5. Bake for 1 hour, or until a knife inserted in the centre comes out clean. Allow to cool in the cake pan before turning out. 1. 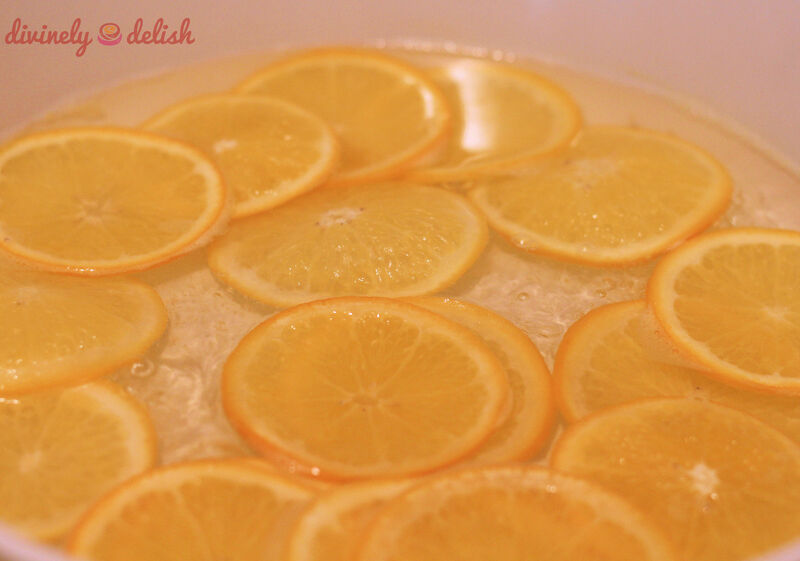 Wash and slice oranges 1/8″ thick (discard the ends). 2. Place orange slices in a large skillet, cover with water and bring to a boil. Lower the heat and simmer for 10 to 15 minutes. Remove slices, drain and set aside. 3. Combine 1.5 cups each of sugar and water in the skillet, and bring to a boil. Lower the heat, put the orange slices back in, spread out, and simmer for about 15 minutes. 4. 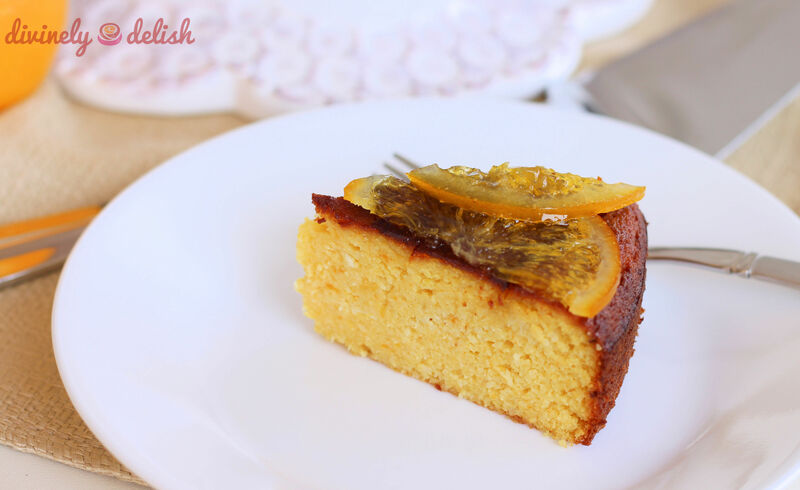 Remove orange slices and cool. Place on top of the cake and drizzle some syrup on top, if desired.